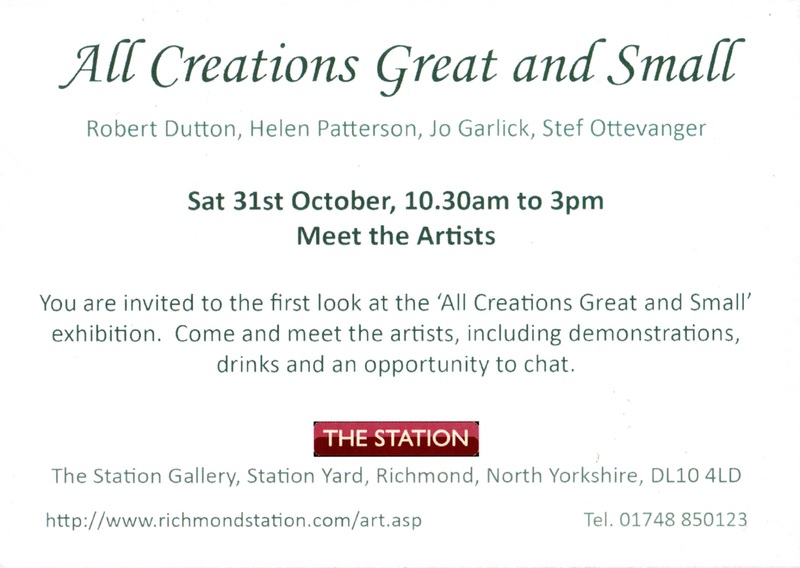 The countdown to our superb art exhibition 'All Creations Great and Small' at the fantastic exhibition space at 'The Station gallery' in Richmond, North Yorkshire on Saturday 31 October...starts now! 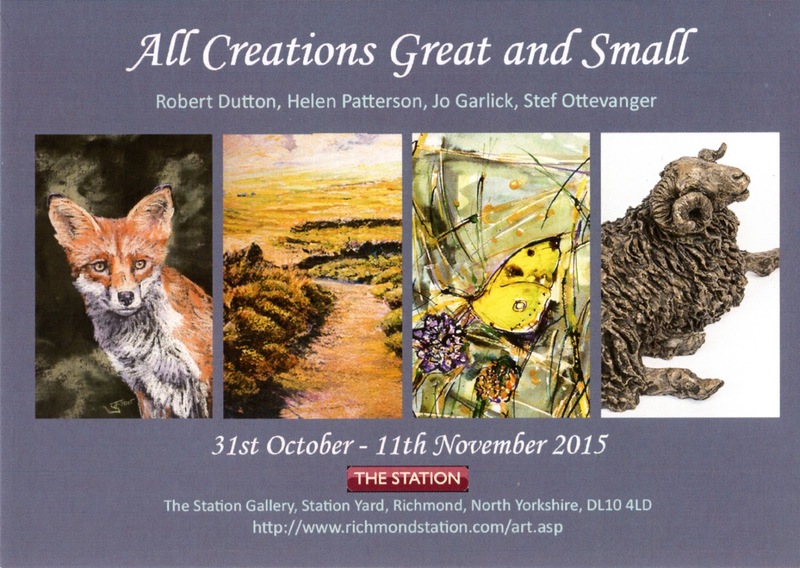 All artists - Helen Patterson, Jo Garlick and yours truly are all putting the final touches to our paintings and drawings of the wonderful wildlife and fantastic Yorkshire Dales and moorland landscapes (especially from 'James Herriot country) whilst Stef Ottevanger is wrapping and boxing a superb collection of her celebrated wonderful wildlife sculptures all ready for the show. The show starts on Saturday 31 October with 'Meet the artists day' from 10.30am to 3pm so you can pop in, have a chat and see our lovely, colourful and lively exhibition for yourself! This really is a show not to be missed. 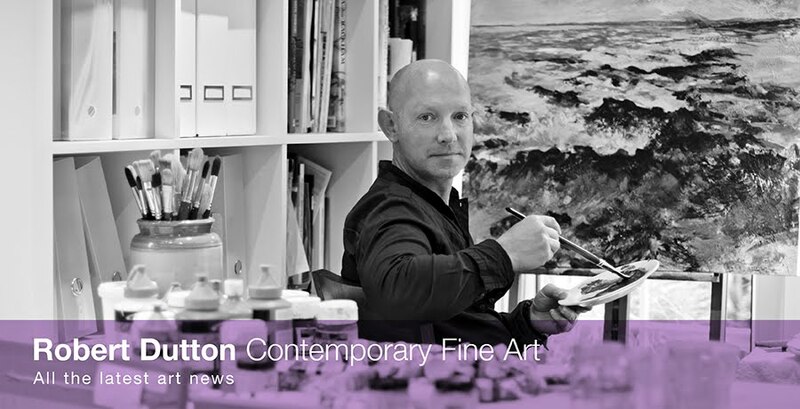 Prices are attractive and so are our creations - especially since you'll have the chance to buy at this one off exhibition for the duration of the show each piece directly from each artist themselves! 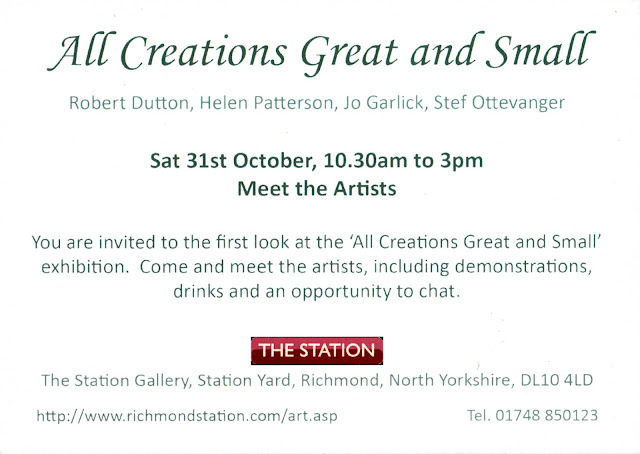 Come along, bring the family and enjoy. Everyone is welcome!